Recalled SiennyLovesDrawing’s sharing via her FB Page about one of the Malaysian Inbound Tourism Association (MITA) initiative 🇲🇾with Indonesia 🇮🇩 tourism ministry last year? This travel fair is free admission! In addition, SiennyLovesDrawing is surprised & impressed from her MITA Travel Fair visit! SiennyLovesDrawing loves to enjoy yummy foods! And MITA Fair potrays different Malaysian 🇲🇾 cuisines i.e. the local cooking traditions & practices in Malaysia as well as to reflect the multiethnic make up of its population. So, don’t miss your chance if you are craving for yummy mushroom 🍄 buns / delicious cakes 🍰, otak otak, nasi dagang, ketupat etc.& would like to bring some Malaysian ” Food Ole-Ole” to your loved one? Have you tried ”Ayam Pansuh” 🐓🐔 (a chicken dish from Sarawak, a state in Malaysia)”? You may to try this Malaysian dish which required to be cooked over open fire 🔥& its ingredients all stuffed into a bamboo 🎋stick. The traditional outfits available are Cheongsam, Baju Kurung, Baju Melayu, Sarees, Sinuangga & Tapi, Gaung & Souva etc. 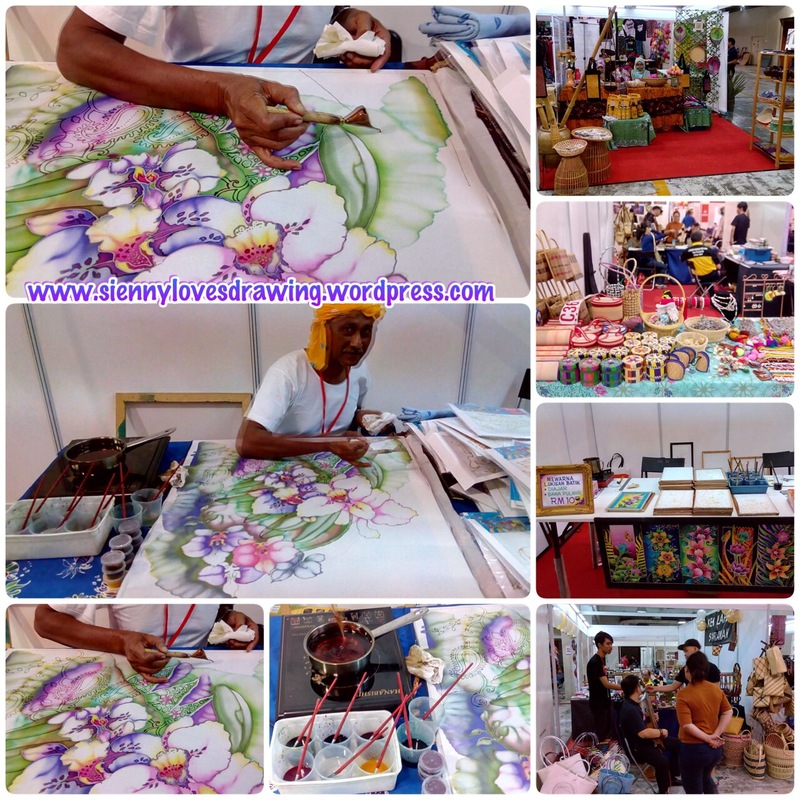 SiennyLovesDrawing enjoys the colourful booths in sharing various art & culture of Malaysian e.g. Batik painting, wayang kulit, wau, traditional musical instruments etc. From KL Sentral to MIECC, you can take Keretapi Tanah Melayu 🚞 (KTM) train to Serdang KTM Station, then 8-10 mins walking 🚶‍♀️🚶to The Mines, MIECC. There are more than 3000 car park lots available at the surrounding area of The Mines, MIECC. Car park rates: Weekdays: RM3 & Weekend: RM4. wow lots to see and do there. not sure when got the time to go, now son’s at tuition. Looks like there will be lots of exhibitions and offers. Will try to go or check out the price until next fair. Didn’t realise it is so happening at MITA. Too bad I am so bogged down with work that I can’t make a trip to KL this weekend! i wanted to go there so badly.. but i had something to do with family so could not make it… such a crying shame…. Awh looks like I will need to go to the next fair – this one looked so great too. Ohh i would like to learn the batik painting! I heard we also have this in southern Mindanao but so rare, only few have interest with it. Have you shop for your next destinations? Sounds good. Maybe next time i should go too. Wow~lots of activity and workshop there. Looks fun. It’s an interesting travel fair. Not also that, there are so much fun activities and delicious-looking food. I hope you could score the deal that you’re eyeing. I’ve come here last year, ans even bought their scuba package. The package offered is really affordable. I love travel fairs but they also make me really sad because I want to travelllllll! I’m sure there will be many great travel deals. This is so exciting! Thanks for sharing!